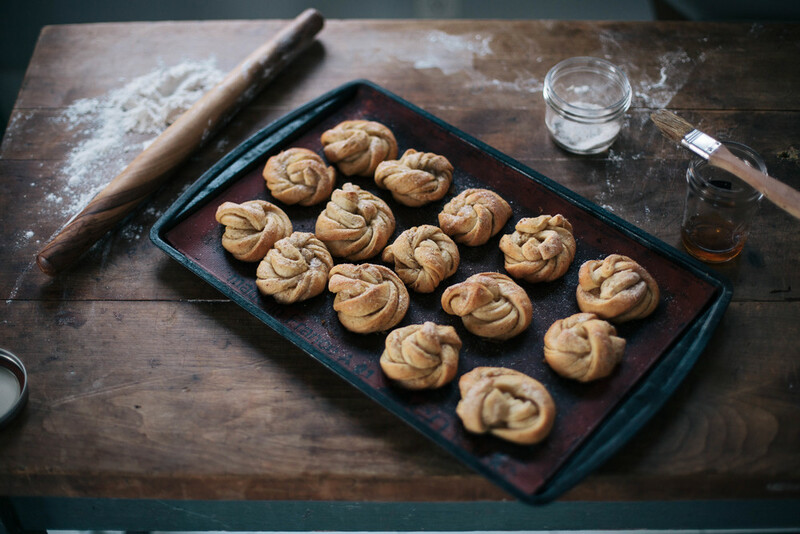 Cardamom Buns — always with butter. Add yeast to warm milk with 1 tsp brown sugar and stir until yeast has dissolved. Let sit for 10 minutes. In stand mixer, whisk flour, brown sugar, cardamom and salt. 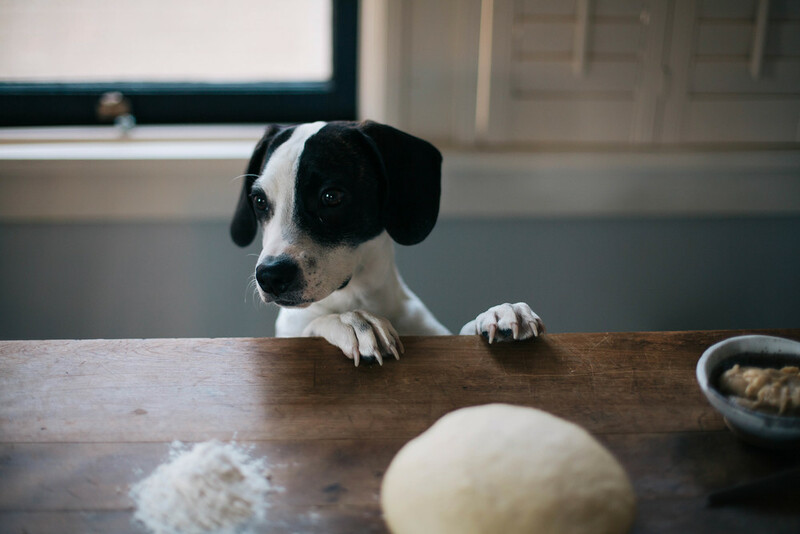 Change to dough hook. Add yeast and mix on low until dough begins to come together. Increase to medium low and add butter in piece by piece.Once added, turn up to medium high and let knead for about 5 minutes, should still be fairly loose. Remove from bowl and shape into a ball. Place in a large greased bowl and cover with plastic wrap. Let rise in warm place until doubled, about 1 hour. Once risen, remove from bowl and place on a floured surface. Roll out into roughly a 13"x21" rectangle. 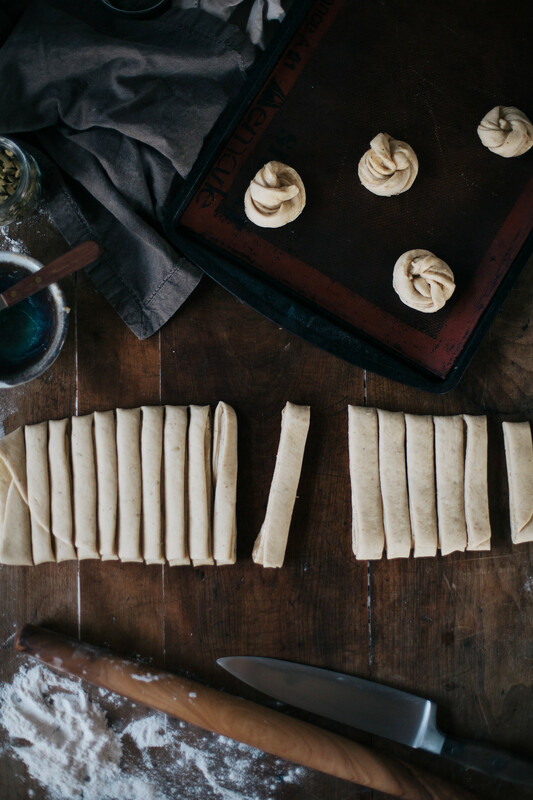 Using a sharp knife or a pastry wheel, cut into 1 inch strands, then each strand in 3/4 the way through, so that it is still connected. Twist each side then form into a knot. 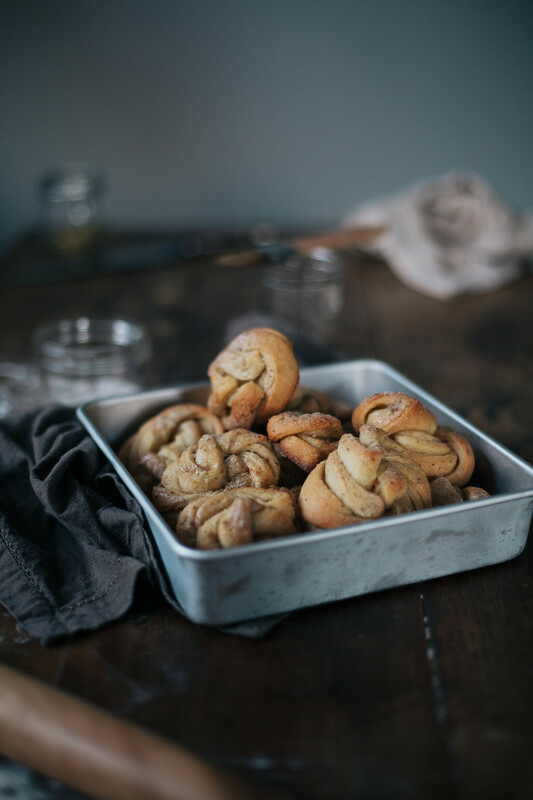 Place buns on a lined baking sheet, spread apart so you will have to use multiple sheets. Cover with a kitchen towel and let rise for 30 minutes. While rising, heat oven to 425 degrees F.
Make the topping while on the final rise. Heat water, brown sugar and vanilla in a small saucepan until the sugar is dissolved. Remove from heat. Stir sugar and cardamom together in a separate bowl. Set aside. Bake buns for 7-8 minutes, until golden brown. Immediately brush with syrup and sprinkle with cardamom sugar.